Happy Friday! Today, I bring you the last look of my collaboration with Tobi. This is the Handle with Flare sweater and it's so cute and cozy! It's also currently on major sale! 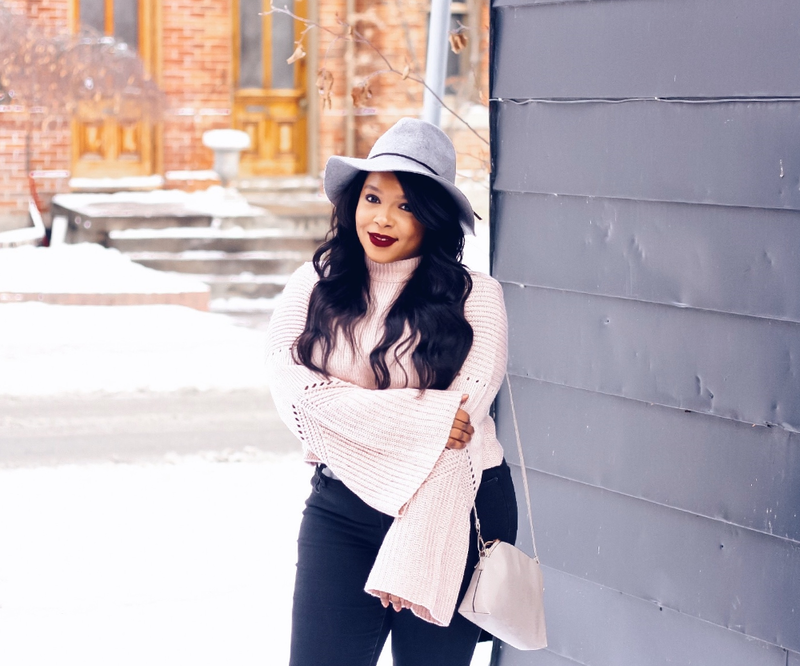 You know pale pinks and blushes are my go-to colours for the past few months and this sweater fits right in. I also love the drama of the sleeves. I love that it just takes it up a level. 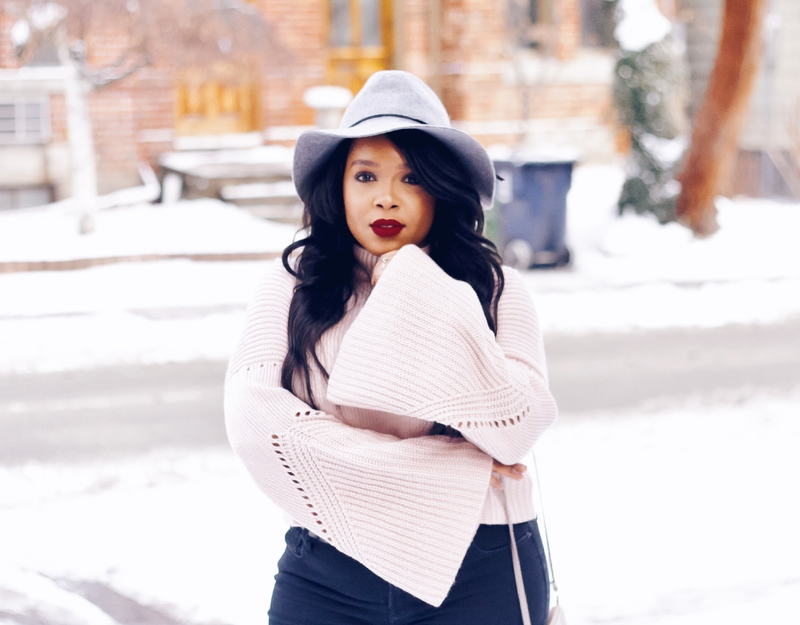 You don't have to think about styling it at all, because it is just a sweater, but you also look cute AF because it's not like anybody else's basic sweater. So be sure the check out Tobi and get yourself some cute stuff! Have a lovely weekend friends!